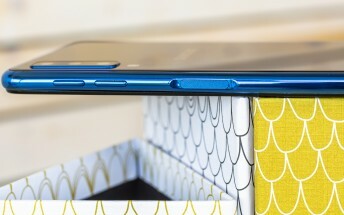 Samsung should announce a trio of new Galaxy S10 flaghips next year - two models with curved 5.8-inch and 6.44-inch displays - and a third with a flat 5.8-inch display. Thanks to leaker Ben Geskin we may have some new clues to clarify that last one. Dubbed the budget Galaxy S10 with model number SM-G970F, the most basic device in the lineup will have a flat Infinity-O display, a fingerprint scanner on the side (not an in-display one), a dual camera and come with either 4GB or 6GB of RAM coupled to 64GB or 128GB of storage. According to Geskin the budget Galaxy S10 may even carry a 2018 Snapdragon 845 chipset. Samsung could ask as little as $650 for the phone, which would put it in direct contention with devices like the OnePlus 6T. If these rumors pan out, then we could be looking at a large disparity between the budget Galaxy S10 and its more expensive counterparts. They are rumored to offer curved Infinity-O displays, in-display ultrasonic fingerprint scanners, three cameras (one standard, one ultra wide and a telephoto one) and likely much higher starting prices.